Fastned’s has laid claim to installing the UK's first 350kW capacity fast charger in Sunderland. The station has two 175kW chargers which are enabled for 350kW charging for all full electric vehicles when required, in addition to four 50kW chargers. All electricity supplied to drivers will be sourced from solar and wind, with solar panels on the canopy of the station. Charging at the new fast-charging station will initially be free until a payment system is activated later on this year. From there, payments can be made through an EV charge card, debit/credit card, Apple Pay or Android Pay. It will also be possible to charge with the Fastned App, which allows for automatic charging. Funding for the station came from the Go Ultra Low Cities Grant and the European Regional Development Fund. It was designed, built and operated by Fastned and is owned by the North East Joint Transport Committee. Michiel Langezaal, co-founder and CEO of Fastned said: “Local and regional electric drivers can now use this charging facility. Sunderland is a symbolic city for electric driving, since the factory where the Nissan Leaf is produced is located here. “Along with other private and public charge-point developments currently underway, these rapid charging stations will help further establish the North East of England as a leader in electric mobility," he added. 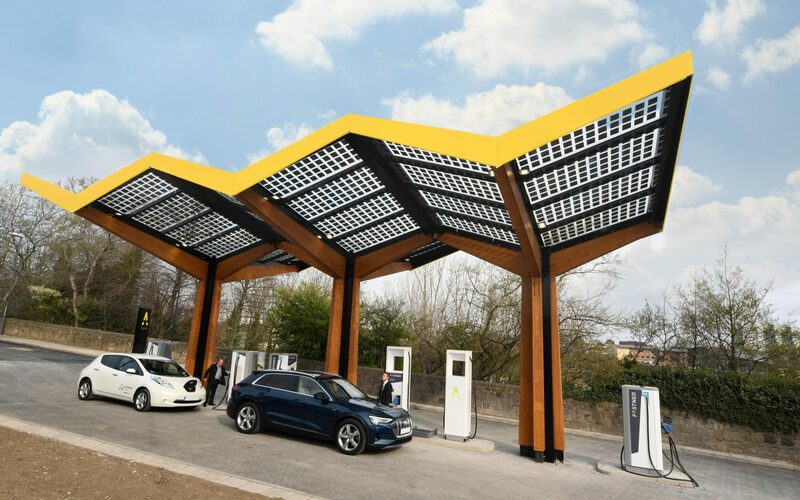 Fastned has also won a tender for five smaller charging stations across the North East and has 90 stations across the Netherlands, Germany and the UK, with plans to expand to Belgium, Switzerland and France.